This is ideal for divers with larger statures or those who dive in cold water and/or require more weight. The Transpac XT balances weight across the hips and back, evenly distributing the weight of single or double tanks. The integrated wrap-around hip pads, made of dual density foam, snugly hug the lower back giving critical support and cushioning. 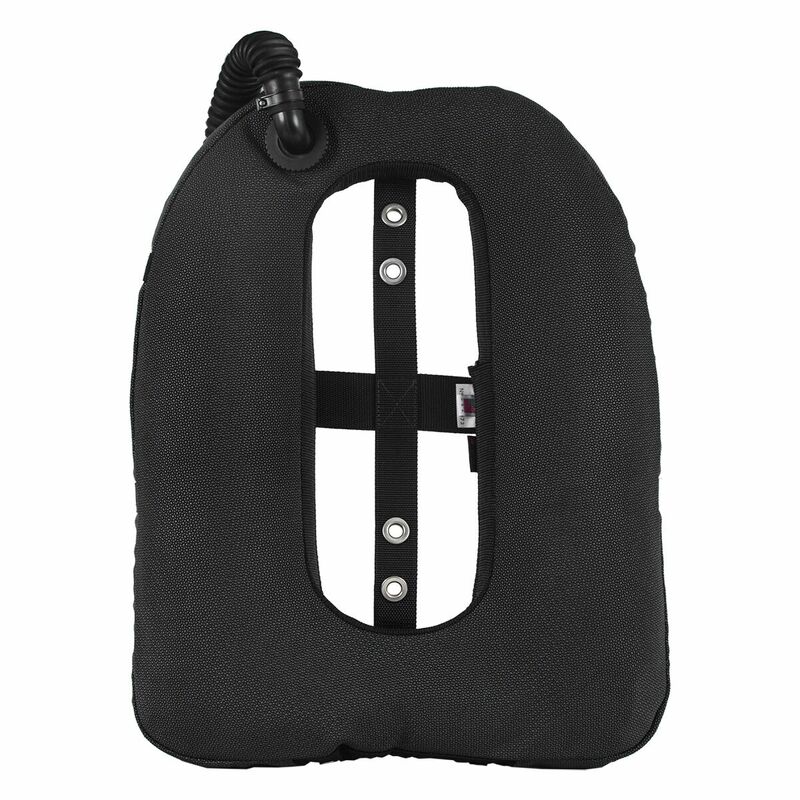 Double-foam shoulder pads fit perfectly beneath the two-inch shoulder webbing to give chafe-free comfort. The molded foam lumbar pad is contoured in all the right places with mesh airflow channels for instant draining topside. 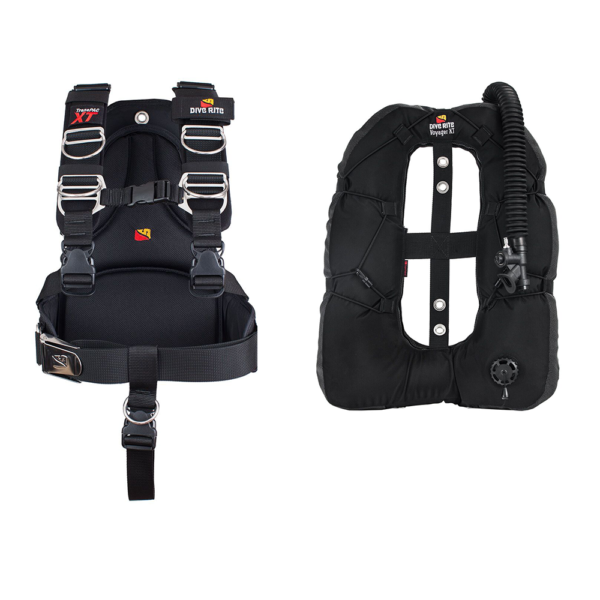 Chest-support strap provides ideal load distribution and when used with the removable 1.5-inch crotch strap, provides stability and comfort in the water. Transition plates at the shoulders allow for quick user addition/removal of hardware and finite adjustments. Sizes XS-Med will include one 2” marine-grade stainless steel D-ring on each shoulder, sizes LG-XXL will include two 2” marine-grade stainless steel D-rings on each shoulder. All sizes come standard with one 2” marine-grade stainless steel D-ring on each side of the waist webbing. 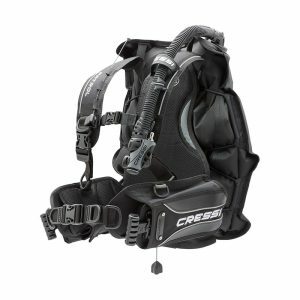 Dual 2” cam straps with marine-grade stainless steel buckles are positioned to give plenty of head room for easy maneuvering in the water. 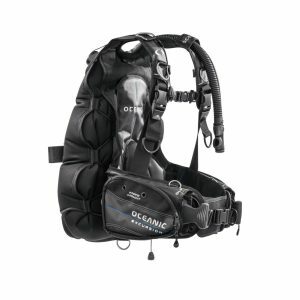 The Transpac XT is neutrally buoyant, weighs less than 5lbs (2.29kg), and packs flat for travel. 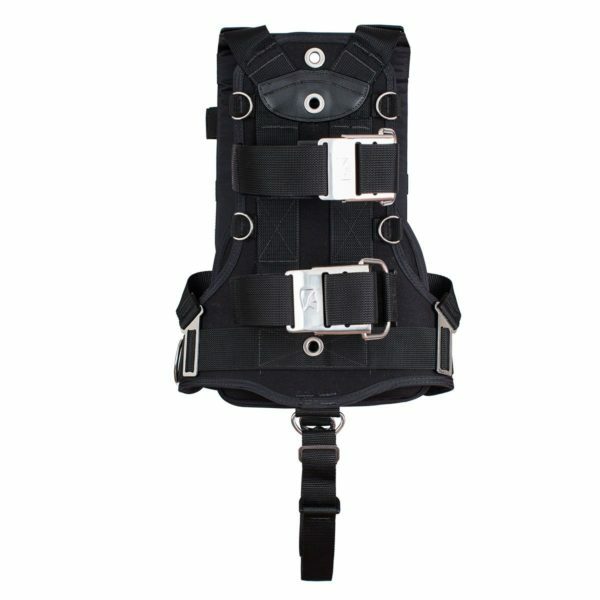 Optional weight pockets can be mounted easily onto the waist belt. The Transpac XT is designed for use with any XT or EXP wing in the Dive Rite line. Made in the U.S.A. The Voyager series are outstanding wings for single-tank diving with their low-profile, donut-shape design. Streamlined side panels and a minimalist, oval shape create a higher-lift wing that remains unobtrusive instead of bulky. 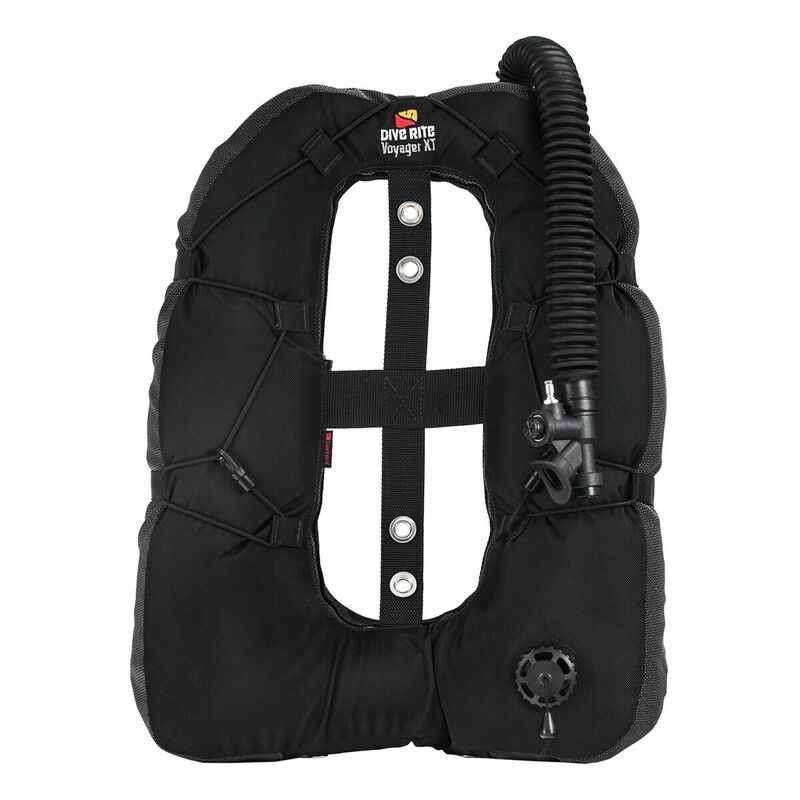 This is ideal for divers with larger statures or those who dive in cold water and/or require more weight. 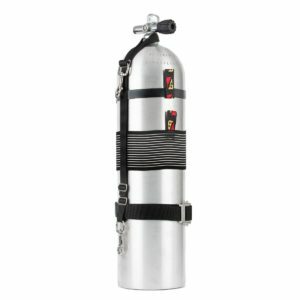 The Voyager accommodates up to one 95ft3/15 L tank with 35lbs/15.8 kg of lift. With its donut-shape, the Voyager wing provides greater stability and control in the water. Donut-style or 360 degree wings promote an even volume of inflation on top, sides and bottom, which improves buoyancy control and promotes a more efficient, horizontal trim. 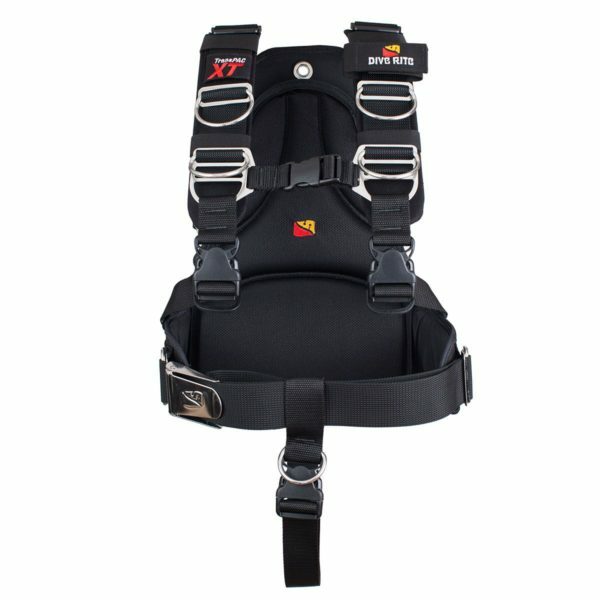 As a part of our modular BCD system, it can be matched with either a TransPac® XT, Transplate or any metal backplate and webbing harness.